Ever wondered, “How Jennifer Lopez Stays So Young?” We all want to know! Luckily, Jennifer Lopez recently dished out some of her “Fountain-Of-Youth” secrets. 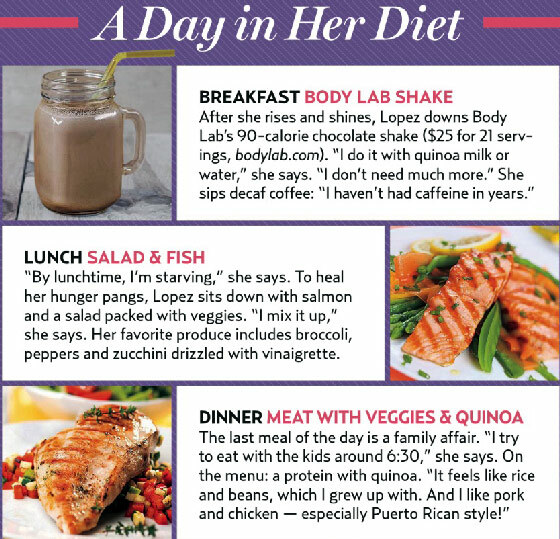 In the January issue of US WEEKLY, Jennifer Lopez shares her beauty, fitness, and diet advice. Jennifer Lopez says looking, and feeling, young starts by making the right choices. While many celebrities are out partying, JLo avoids drinking alcohol and caffeine entirely. When not at home, she’s working on her next project, a Las Vegas residency performance. Jennifer Lopez’ new show is Vegas is entitled, “All I Have,” and starts in January. No Alcohol or Caffeine, Ever! Keeping Busy, but staying grounded with meditation. Spending time with her kids, quite the balancing act. Only wearing makeup when she has to (working). A low-calorie diet, high in protein and healthy carbs. Surrounding herself with a great staff, and a variety of workout trainers. Jennifer Lopez says her life is a balancing act between being a mother, singer, TV star and performer. With so many things to do, staying active is easy to for her to do. But, there are many pitfalls along the way. As busy as she is, stress can take it’s toll. The 46-year-old, mother of two (Max and Emme), just finished wrapping up a TV show, Shades of Blue. You have to put your foot down. I learned Transcendental Meditation this year because it’s overwhelming at times. Doing all of the things I do, at once. Jennifer Lopez goes on to say that she’s always looking for things that keep her focused. By meditating for 20 minutes, 2x a day, JLo feels she is being grounded. Despite her busy schedule, transcendental meditation keeps her on the right path. With JLo’s multiple full-time jobs, she has found it even more important to gain a sense of inner peace. She says this new perspective is crucial to her success. It’s a whole rounded regimen…It’s working out, it’s dancing, it’s meditating. At the end of the day, it’s about just being happy, being with my kids…All of that helps balance out, so work doesn’t feel so crazy. Jennifer Lopez also says sleep is really important to her. I love to get a good 9 or 10 hours sleep. But, I can never get that. So, 7 or 8 is mandatory. Otherwise, I just don’t feel right. I start feeling crazy, I get emotional and I feel tired all of the time. JLo told US WEEKLY her daily makeup routine (when not performing) is super low-key, not anything special. Jennifer Lopez says that staying young involves giving your skin a break. I just wash and moisturize, because I wear so much makeup when I’m working. I don’t like to wear makeup at all when I’m off. I’ve never been one to take in a lot of sun, which is why my skin has maintained itself. Breakfast is a protein shake, often with quinoa milk or water (90 cal). Lunch is a salad and fresh fish. JLo likes to add a lot of veggies to spruce up her meal. Dinner is meat with more veggies and a high-quality carbohydrate like quinoa. Jennifer Lopez says the key to remaining ageless comes from using a variety of help. There are so many pitfalls, you simply can’t do it alone. She uses a variety of workout trainers. This helps keep her workouts fresh, and up-to-date on the latest trends. JLo’s trainers include Tracy Anderson (Gwyneth Paltrow’s dance/weights instructor), Bob Roth (meditation guru) and David Kirsch (Kate Upton’s trainer). Make sure to have a great support staff and take moments to have gratitude for what you have. After all, no one lives forever. It’s just about enjoying life, and living it to the fullest. In the end, it’s “Your Memories That Make You Rich.” So, always remember to stop once in a while, just to take it all in.